Yesterday on FB memories, this little beauty popped up. That’s me graduating from college. 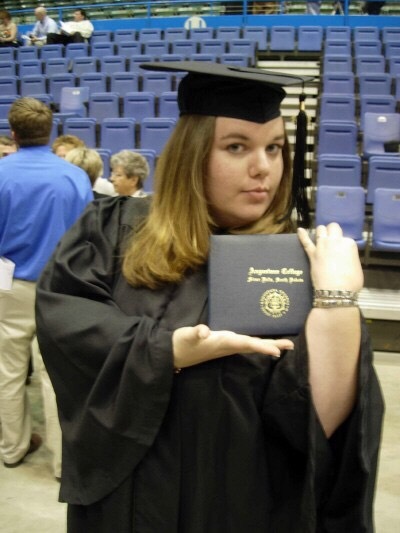 That’s me graduating from college TEN YEARS AGO. 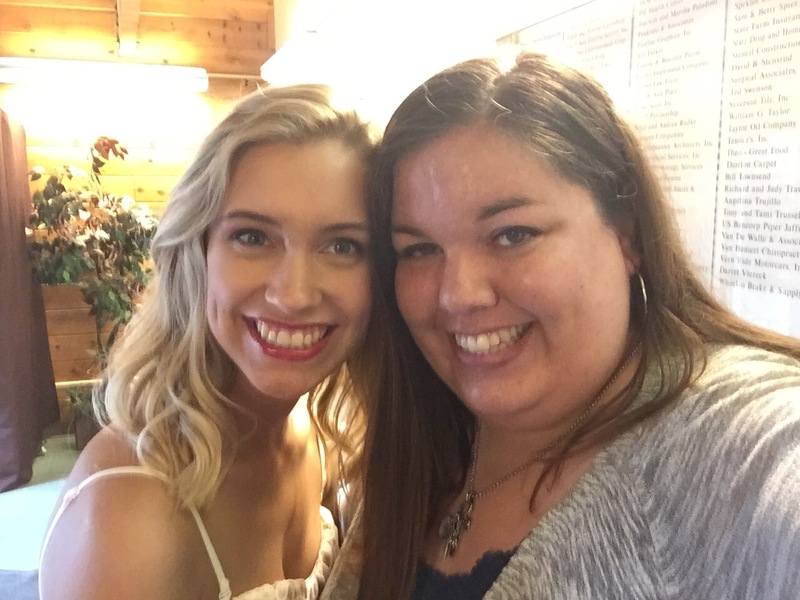 On Saturday, I had the opportunity to go to a graduation party for a girl I worked with at an after school program when she was in elementary school. Needless to say, it was the weekend of feeling old. Yesterday my mom and I caught a movie in Sioux Falls and afterwards I suggested taking a drive around my old college campus. When I went there, it was Augustana College. Now it is the mighty Augustana University. Despite the name change, so much remained the same. The residence halls, the old admin building, Madsen Center, where I spent much of my time. There were changes as well. A much-needed upgrade to the science building is in progress, and the humanities building has been growing for years. Still, as we drove around campus, I was struck with memories, happy days, difficult times, friends and professors and activities. Augie was as much a home to me as anyplace else I’ve lived. When I graduated college, I don’t think I knew what to expect ten years down the road. I know I didn’t when I graduated high school. At college graduation, I was already registered to start my grad program in the fall, and didn’t see much beyond that. I knew I wanted to help people, but I didn’t know what form that would take. Whew. I’m sure there are people who have done more. Had more labels. Been more places. This is a time of year where it’s easy to get reflective, to look at the time that has passed, wonder how it went so quickly. But when I look back, I see all the lessons I’ve learned, the amazing people I’ve met, the experiences I’ve had. Are any of us anything without that vast crowd of experiences in our past, influencing who we are, informing our future? I guess my point is this. Ten years ago, I had no plans to be supervising a therapy program at age 32. And I definitely had no plans to be publishing a book at that same age. But when I look back and the winding path that led me here, I can see that on the way I was able to accomplish what I’d hoped, to help people, if not always in the way I’d planned. And through my books and through my continued work in social services, I hope to continue to help people, in whatever form that may be. In ten years, I may look back at this and smile, or roll my eyes, or just nod. Who knows? ❤ I like this and I like you. Hey, Augustana?! You Lutheran or something?! Grew up Presbyterian but attended a Lutheran college and now attend a Lutheran church. Also attended Church of Christ and Assembly of God briefly, among other non-denominational branches. I’m eclectically Christian 😉 I’m glad you’re enjoying the Audible book! Brittany did a fantastic job. I’m very pleased with her performance and interpretation.